Read Cabell's review of BlacKkKlansman. It's the early 1970s, and Ron Stallworth (played by John David Washington) is the first African-American detective to serve in the Colorado Springs Police Department. Determined to make a name for himself, Stallworth bravely sets out on a dangerous mission: infiltrate and expose the Ku Klux Klan. 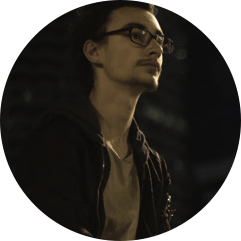 The young detective soon recruits a more seasoned colleague, Flip Zimmerman (played by Adam Driver), into the undercover investigation of a lifetime. Together, they team up to take down the extremist hate group as the organization aims to sanitize its violent rhetoric to appeal to the mainstream. BlacKkKlansman is in select theaters August 3rd, 2018. 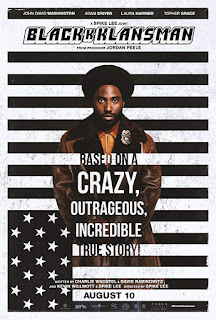 It's the early 1970s, and Ron Stallworth (played by John David Washington) is the first African-American detective to serve in the Colorado Springs Police Department. Determined to make a name for himself, Stallworth bravely sets out on a dangerous mission: infiltrate and expose the Ku Klux Klan. The young detective soon recruits a more seasoned colleague, Flip Zimmerman (played by Adam Driver), into the undercover investigation of a lifetime. Together, they team up to take down the extremist hate group as the organization aims to sanitize its violent rhetoric to appeal to the mainstream. BlackKkKlansman is directed by Spike Lee (who previously directed “Malcom X” and “Do The Right Thing”) and stars John David Washington (previously seen in “Love Beats Rhymes” and “Monster”) and Adam Driver (previously seen in “Star Wars: The Force Awakens” and “Paterson”). And I had an amazing time with this film. It is such a different story that has not been told before and it’s honestly insane that this was based on a true story. To dive right into the acting, I really loved Washington’s performance as Ron Stallworth. He did such a good job being the first African-American in the local police department and dealt with situations in a very real way. His character was so relatable, and his performance really helped me sink into his shoes. But who just barely topped Washington was Adam Driver. His performance as flip was fantastic. I was on the edge of my seat every time he was infiltrating the KKK and pretending to be so racist. It really brought me into the film and added levels of tension. I also enjoyed all of the KKK members performances, but suspifcily Ryan Eggold (previously seen in “Literally, Right Before Aaron” and “Lovesong”) and surprisingly Topher Grace (previously seen in “Spider-Man 3” and “Traffic”) was AMAZING as David Duke. I really had no idea it was him until the credits! Tonely I thought Spike Lee perfectly balanced drama, crime and comedy in to such a touchy subject. He also showed the horrible things that the KKK did brilliantly and still managed to throw in some well timed humor in such dark moments. While I did love this film, I did have some minor issues with it. The biggest one is the first, and last scenes of the movie. When you see the film, you will understand what I mean. But I just felt like both of the scenes did not fit well with the rest of the piece. Maybe if the opening scene was placed in a middle point, it would have fit better. I really want to avoid spoilers, but the other issue I had with this film was just some plot holes with the undercover investigation. I know this is based on a true story, but some points were just unlogical. I am also unsure how close this is to the source material, so that is a factor. Overall, I recommend anyone (of age) to see this film. With fleshed out characters, well placed humor and a great story, there is definitely something for everyone to love. Go out and support this very different film as soon as you get a chance!